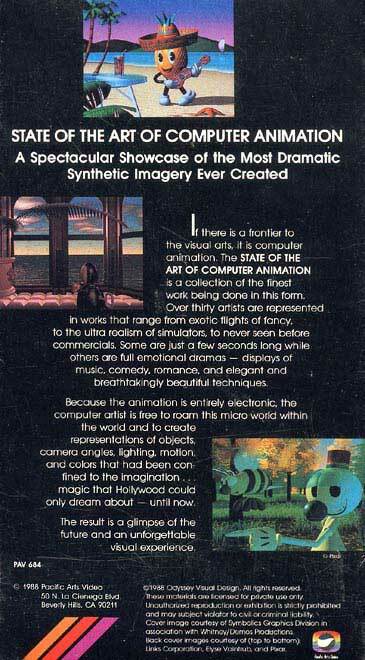 First released in 1988, "State of the Art of Computer Animation" is the very first video of computer animation! Nowhere else in the world can you find new copies of this rare title! 41 separate shorts, including Dire Straits' "Money for Nothing"